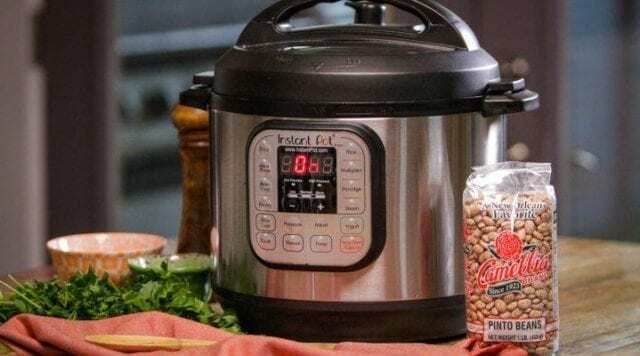 Home Appliances How to use an Instant Pot? Instant Pot craze is increasing day by day. A large number of users worldwide have started using the Instant pot instead of their traditional pressure cooker. Instant pot’s popularity has increased, because you can cook delicious meals in just a few minutes. 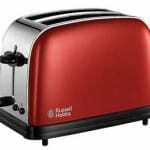 Whether you possess an Instapot or you have used it before, this post is for you. Here, in this guide, we will provide you with all the basics about the Instant pot. What actually is Instant pot? Instant Pot is basically a pressure cooker. It is a one-stop solution for all of your cooking. It provides option to sauté, slow cook, make rice and steam veggies and poultry. In almost all the cases, Instant Pot recipes are ready within an hour. It cooks really fast due to its pressure-cooking function, which locks steam formed by liquid, developing pressure and pushing steam back into the food. Please don’t confuse it with the traditional pressure cooker. 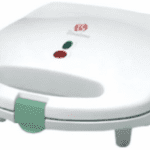 The gadget possess all the safety measures which you are looking for. What can you cook using Instant Pot? Using Instapot, you can cook a healthy meal for your entire family in just about 30 minutes. Dishes such as beef stew, rice, and chicken, chili and also a whole roasted chicken can be cooked in roundabout 30 to 60 minutes. Also, you can bake bread using Instant Pot. Instant Pot is very much popular among Paleo and ketogenic diet followers due to its ability to cook meats in a short interval of time. However, the gadget is also loved by vegetarians and vegans because it can make dishes such as seasoned black beans, tomato soup, vegan lentil chili, etc. Moreover, dry beans which mainly require overnight soaking can be made in around 30 minutes. For example, dishes like chili and hummus. How to cook using Instapot? Firstly, keep the Instant Pot in Sauté mode. Then add oil and brown your protein, such as beef or chicken. Savories such as garlic and onion are also browned in this step. Now, click on the Cancel button. Then, click on manual followed by pressure. Click again to activate the high-pressure mode. Now, use plus and minus buttons to set the cook time. Put the lid on the Instant Pot and lock it into place. You will hear some sound as soon as you lock it. Please be sure that the valve built into the lid is in the Sealing position. Once the Instapot develops the required pressure, the red button will pop up. There are two ways to release the pressure. In natural pressure release, the valve on the lid stays in the Sealing position and the pressure disperses naturally over time. This process takes about 20 minutes to an hour, depending upon what you are cooking in Instapot. Low-liquid meals require less time as compared to high-liquid meals such as soup or chili. The second option is manual pressure release which is also called Quick release. For this, you have to cautiously move the valve into the Venting position and watch as steam shoot out of it, releasing the pressure. Which pressure release method is better? For example, in the natural pressure release, the Instant pot is still full of pressure, hence the food continues cooking whereas the gadget is in sealing mode. Manual pressure release is useful and essential when you have developed enough cooking time and cooking is needed to be stopped as soon as possible. Instapot consist of a lot of buttons: Learn to use the buttons effectively to make delicious recipes. Always add 1/2 cup of liquid: Pressure-cooking needs liquid to liquid pressure in the pot. Hence, even if you are cooking simple things such as chicken breasts or thighs, please ensure to add at least add 1/2 cup of sauce, broth or water into the gadget before it reaches the pressure mode. Please check lid valve is set to sealing: Pressure will only build when lid valve is set to sealing position. So, check it twice before you leave your kitchen. Clean your Instant pot regularly: After making delicious foods, Instant pot will contain food smell and stains, make sure to clean it regularly. Convert slow cooker recipes: Instantly an 8-hr recipe can be made in just about an hr. We hope that you liked our guide. If so, then please share it with your friends and followers.